Learn about the fourth generation Apple TV and how it can easily be used by someone with little or no sight in this comprehensive audio tutorial by Mystic Access. From orientation to initial setup to finding and installing apps of interest, it's all here. Have you been hearing about the Apple TV, but aren’t quite sure what it is, how it works or whether you can use it with little or no sight? 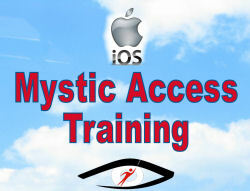 Mystic Access is delighted to teach you about this compact and highly accessible device in our audio tutorial, Accessing and Exploring the Apple TV with VoiceOver. In this friendly and engaging tutorial, Kim Loftis explains and demonstrates the Apple TV using the VoiceOver screen reader. You’ll learn everything from why you may want an Apple TV, to how to set it up without sighted assistance, to exploring and customizing the device to your own tastes and desires. The fourth generation Apple TV offers a wide world of content, and you can get to know that world in this audio tutorial. What is an Apple TV, anyway? What is the fourth generation Apple TV and why would I want one? / Differences between the fourth generation Apple TV and previous generations. Demonstrating three setup methods… manual, with a Bluetooth Keyboard, and with an iDevice. Navigating and typing with the Apple TV remote. Navigating and typing with a Bluetooth keyboard. A tour of the initial home screen layout. Exploring the Apple TV’s Settings. Exploring the Music app and Apple Music. Browsing for, learning about and downloading third party apps. Customizing your screen — creating folders, moving apps and deleting apps. Searching for content across multiple apps and exploring the top shelf. Apps for watching videos, TV shows and movies. apps for listening to music. Apps for meditating and relaxing. Miscellaneous apps… including Carot weather, Sero and Amazon. Trouble shooting — includes reset methods. Accessing and Exploring the Apple TV with VoiceOver is eight hours in length and available in DAISY and MP3 formats, both of which you will receive upon placing your order. 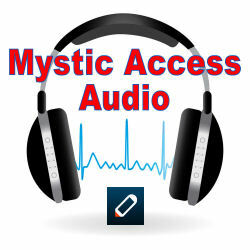 Your investment for this audio tutorial is $49. We hope you’ll enjoy all there is to discover in this audio tutorial, and we thank you for your interest.